Blue Ribbon, somewhere just east of Sulphur Springs, TX along I-30. Taken July 11, 2004 by David Backlin. 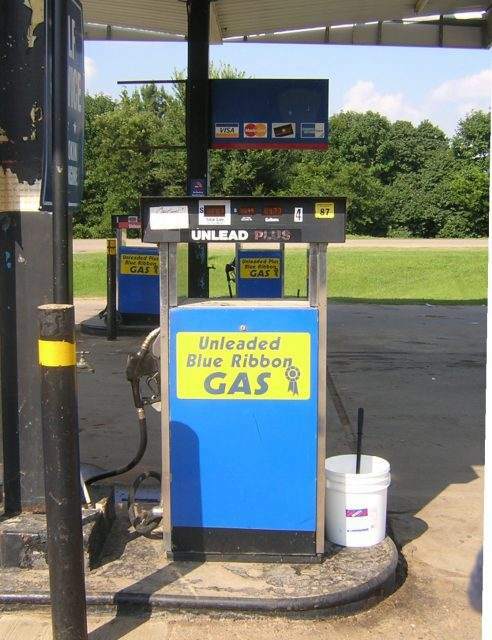 Close-up of the Blue Ribbon pump sign. 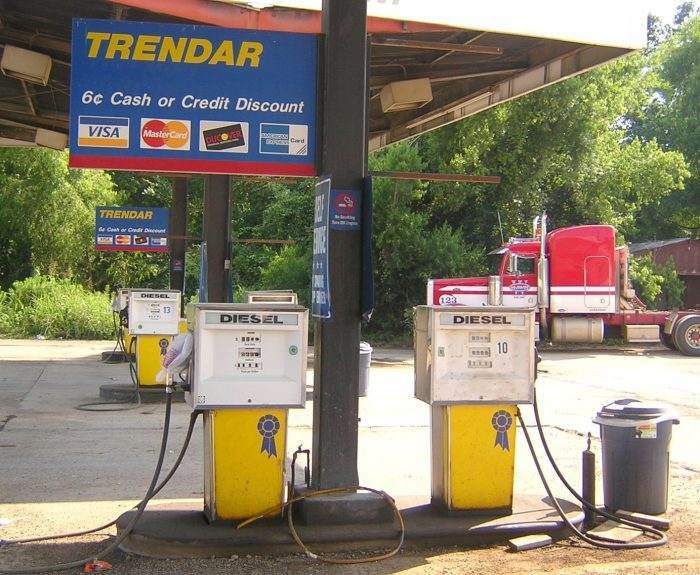 Trendar is the name of the point-of-sale system used here.